02/19/19 - Dr. Jack Stockwell - Is Israel on The Threshold of Introducing A Cure For Cancer? Host Doug Stephan and Dr. Jack Stockwell www.forbiddendoctor.com discuss news that researchers in Israel may be on the threshold of a cure for cancer. 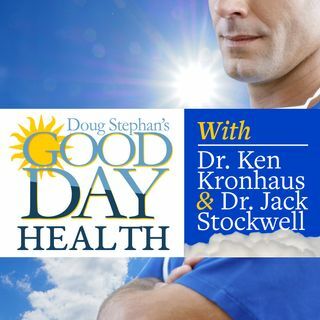 Dr. Jacks explains Supplements versus Medications, and which are the best Supplements. Did you know that Antibiotics are tough on your Kidneys? Learn all about how food manufacturers have learned what to put into foods to make you crave them. Plus, lots more information about maintaining your Good Health.